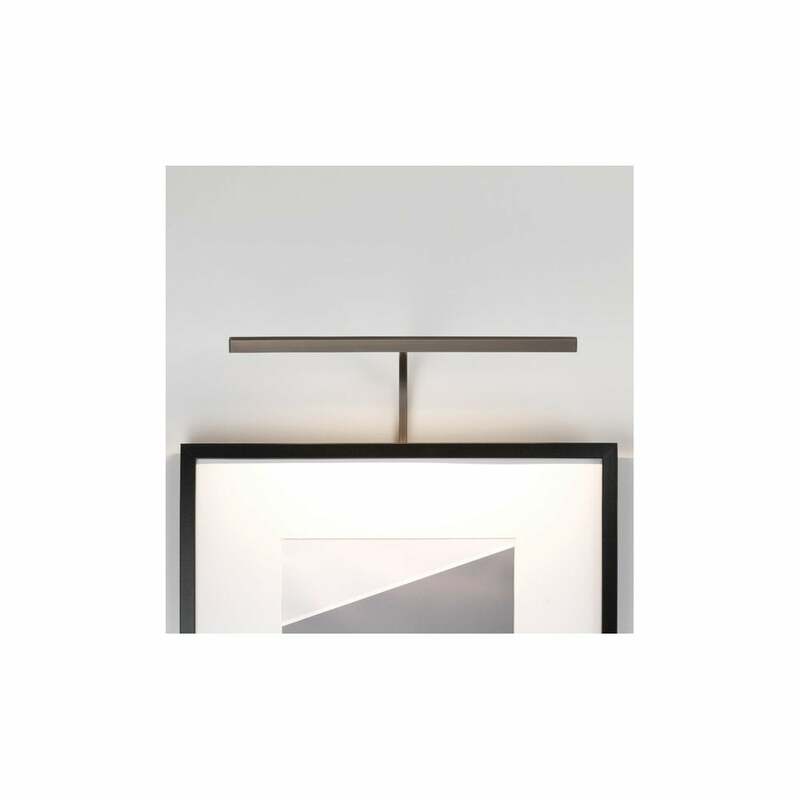 Astro Lighting Mondrian 400 LED picture light features a square design back plate holding an extending curved arm and an adjustable rectangular shaped head in a bronze finish. The product code for this Astro Lighting picture light is 7891. A simplistic design which is a perfect picture lighting solution for modern decors providing bright LED illumination to your favorite masterpiece. This product can be wall mounted or frame mounted and requires a Constant Voltage 12V driver. Also available in matt nickel finish and there are wide variety of picture lights available to view and purchase from our website.